Japanese student wearing layered tops, a green pleated skirt, and floral sneakers in Harajuku. Harajuku student sporting a street casual look while out and about one evening. Harajuku girl in kawaii fashion with white cutout top over printed t-shirt, denim skirt, printed sneakers and colorful accessories. Harajuku girl in plaid skirt, sweater vest over collar shirt fashion with knee high socks and heeled loafers. 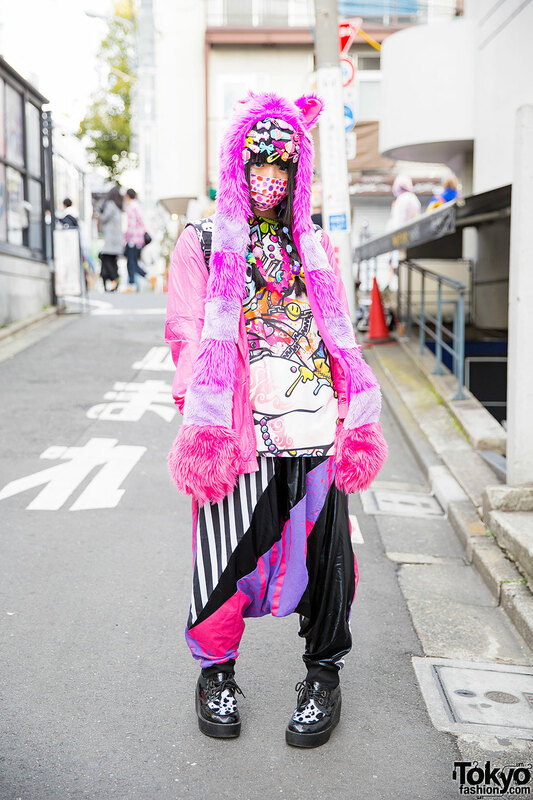 Harajuku Decora Girl in Colorful Street Style w/ Super Lovers & Project C.K. Harajuku decora girl in faux fur animal hat, plastic hair clips, cartoon print top, pink jacket, harem pants, skulls backpack & creepers. Harajuku girl with decora hair accessories, wearing sheer pastel outerwear, a tutu skirt, bunny sneakers and colorful backpack with anime buttons. Harajuku girl in cherry print dress, blue jacket, tote bag, lace-up boots and plastic accessories. 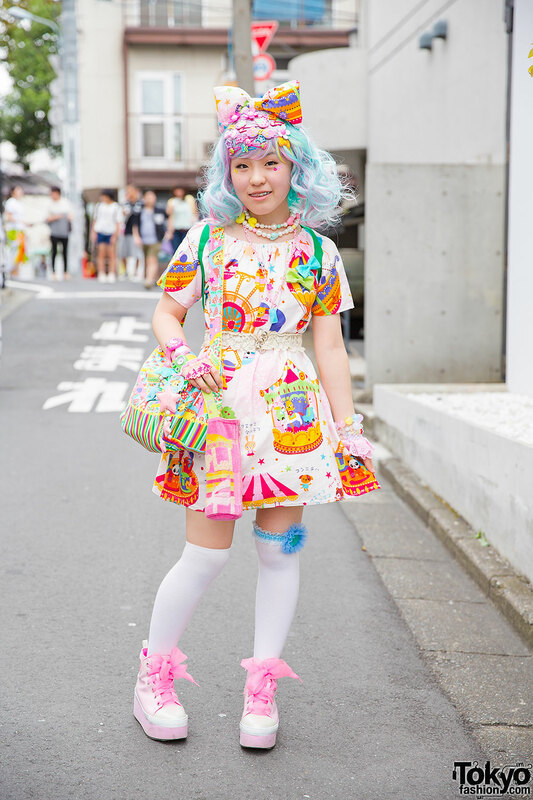 Harajuku decora with blue/pink hair, bow and hair pins, wearing a carousel print dress and colorful bag, candy jewelry, platform sneakers, and a panda plushie backpack.